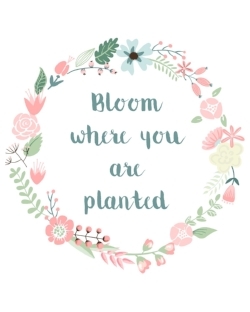 It is easier said to “bloom where you are planted,” than done. At least in my case. I have always struggled with feeling like I am trying to bloom in the wrong place. I have blamed living in a small town. I have been cynical about not having a relevant community of support. I have even laid fault to those in my family for holding me back. The truth is, I was not growing into the person I should have been, and responsibility was all mine. Today, I wanted to write about my struggles and self-doubts around the creative, artistic community that have been my company the majority of my adult life. I have been a long, dark, cold winter. I have been shy when it comes to expressing a creative side. I have discovered with many attempts at being an “artist,” that I cannot paint or draw. I think I can create pottery. I cannot sing. I love to dance, and I cannot stay focus long enough to master an instrument. But, I have always written. Possibly in secret and often in spurts, but I have written. For some reason, the idea that a writer’s life was so different than the other artistic lifestyles of those around me. At least that is what I believed. I believe that the struggle was solely within me. Others have told me they see me as a very creative human. But I never saw that in myself. I hide my creative self deep and only allowed her to come out when I had an academic project that required writing. I married an artistic genius who is amazing at photography, music, house remodels, cooking, or just about anything else he decides to do. I have raised two brilliantly talented, creative daughters. But I still struggled with the idea that I could bloom, where I am at, as an author. That all changed this year; I stopped looking around me and hoping for change. I stopped dreaming about moving to a bigger city that had more “artistic opportunities.” I just let go of wishing for what I did not have & I started to work on what was around me. I reached out to perfect strangers who were authors. I began to create a website. I found creative individuals on social media. I developed a podcast, and most importantly, I started to write—daily! My petals have started to open and reach out towards the light. Though I feel delicate and needing protection, I still grow. I am not always struggling with where I have been planed now, for I have realized that I might have just been an incredibly stubborn late bloomer. The long winter is when you are in the struggle; you know something is not quite right—things are cold and dark, but you cannot find your way out of that season. You may feel stuck or restless, but you know you are more or less in the dark. Tip 1: Commit to being kind to yourself by not comparing yourself to others or where you are at with where you believe you should be! Tip 2: Write a list of what can control and another list of what you cannot control to help you see perspective. Tip 3: Share that list with a trusted friend, family member, mentor, or partner to determine what you should let go of and what is in your ability to change, this will aid in accountability.